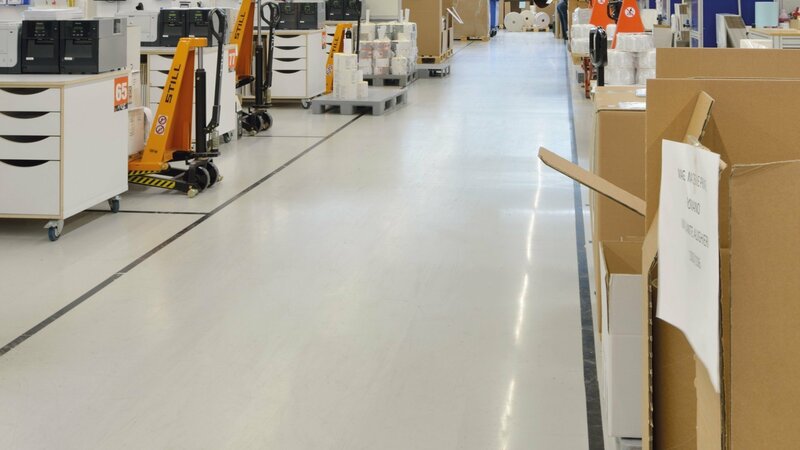 As the ultimate specialist in synthetic flooring for the graphics and paper industry, Bolidt understands that this industry revolves around paper, cardboard and professional printed products that need to be delivered on time. 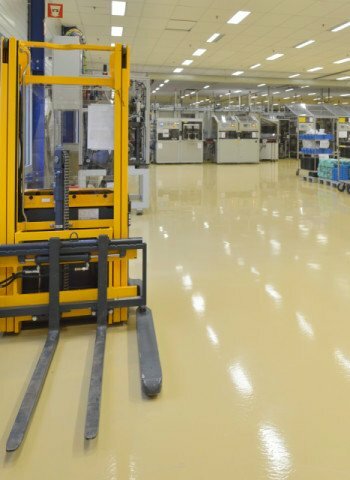 This can only be achieved if the production environment is in perfect condition. 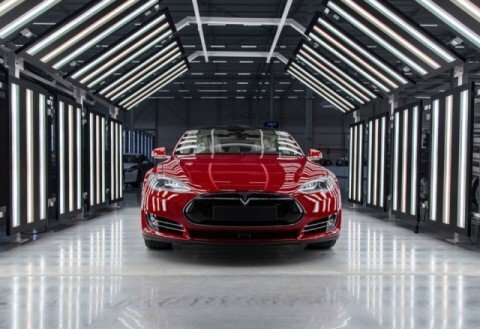 This requires: optimally functioning printing presses, finishing machines and high-tech internal transport systems, such as Automatic Guided Vehicles (AVGs). 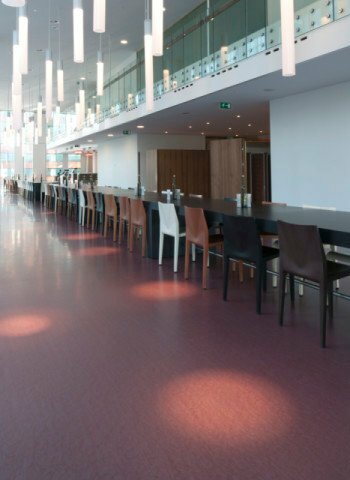 And equally important, the right flooring systems. 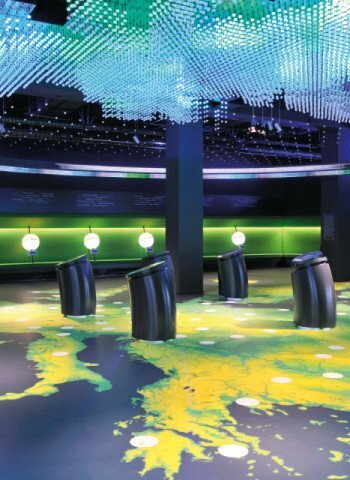 With over 50 years' experience in the development, production, and application of synthetic flooring, Bolidt is a frequently sought-after partner for companies in the graphics industry all around the world. 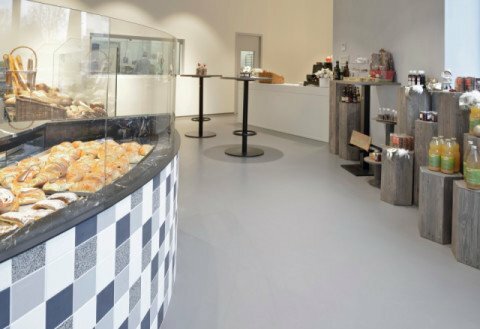 Customers rely on Bolidt's innovative flooring because of its aesthetic qualities and the exceptional functional qualities such as high mechanical and chemical resistance, conductive properties, long service life and ease of maintenance. 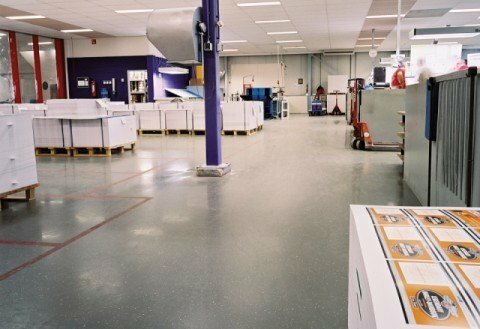 Printers and other companies in the graphics and paper industry prefer Bolidt's flooring systems. 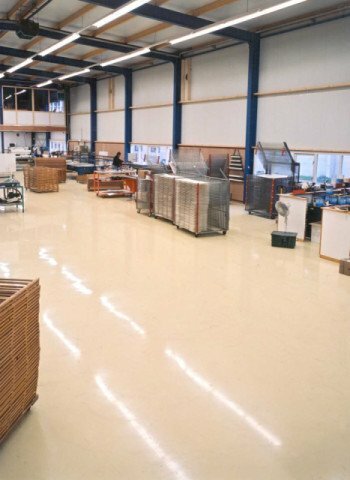 Bolidt is a one-stop-shop manufacturer of innovative synthetic flooring. 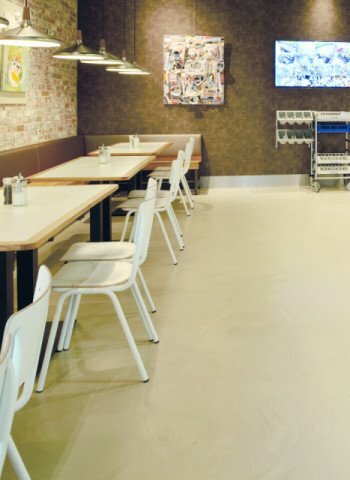 Bolidt is a frequently sought-after partner for innovative, strong and durable flooring systems. 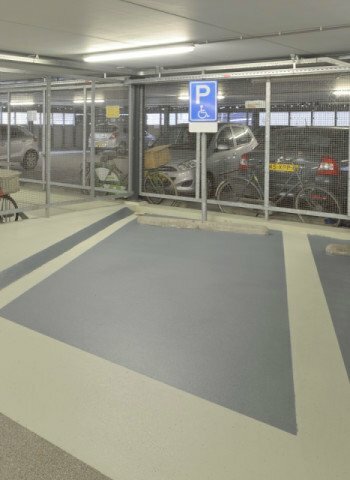 Bolidt offers peace of mind, knows the required standards and thinks with the customer about materials, durability, functional requirements, certifications and maintenance. 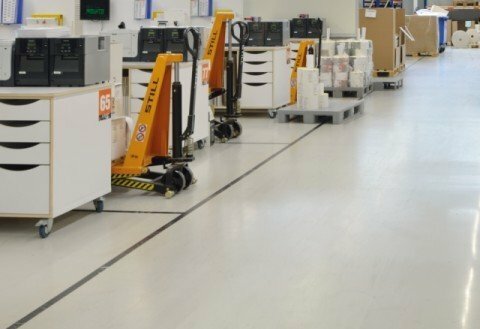 More and more companies in the graphics and paper industry make use of intricate computer-controlled processes, and therefore choose to use Bolidt's electroconductive flooring system. 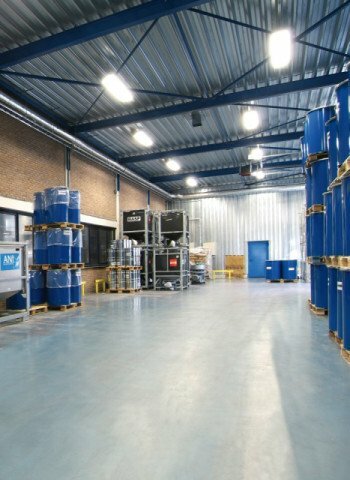 These systems are characterised by a unique concept called spot conductivity. 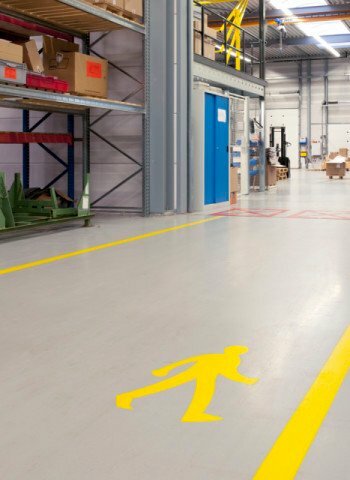 Every millimetre of the floor is checked for static electricity and subsequently dissipated or prevented before any hazards can arise. 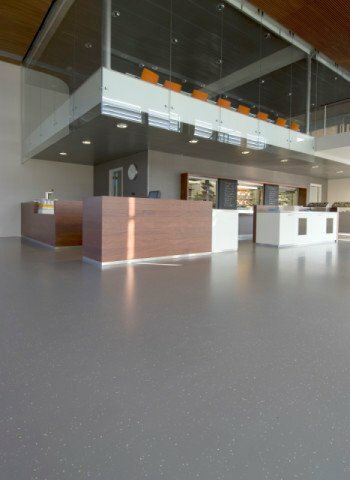 The flooring is seamless, impermeable and resistant to chemicals, acids and bases; which are also important qualities. 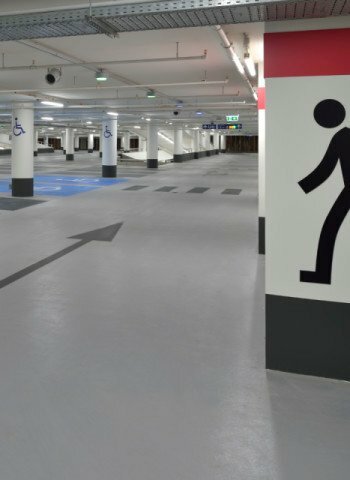 In the graphics and paper industry, it is important for flooring to be smooth and able to withstand high mechanical loads. 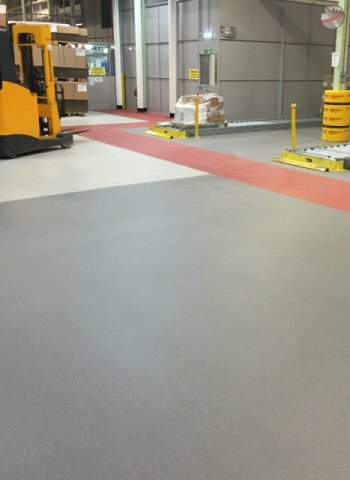 It is essential that the flooring is smooth as this help to prevent imprints in the final product and ensures that the AVGs can operate smoothly. 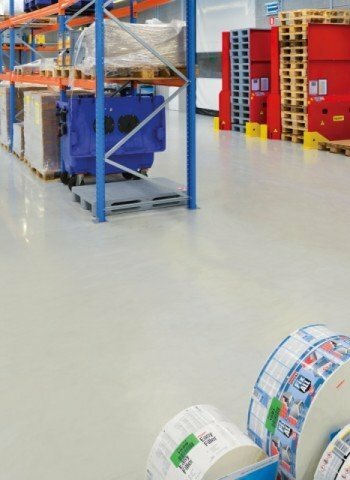 The flooring must withstand heavy mechanical loads because of the weight of the heavy machines and intensive forklift truck traffic. 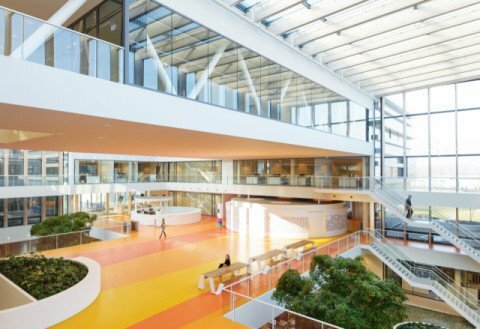 In addition to all these functional properties, the floor should also be pleasing to look at. 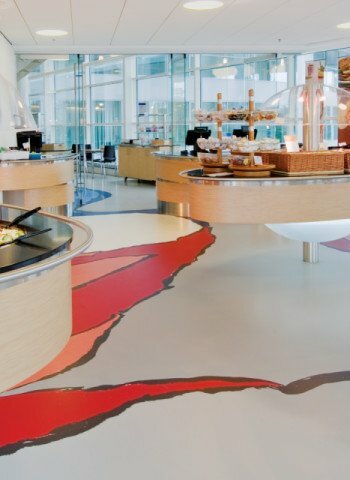 Bolidt offers an endless choice of colour and design options. 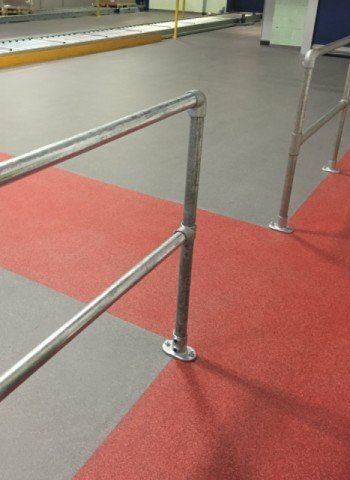 The specialists at Bolidt love to think with the customer about any specific requirements they may have. 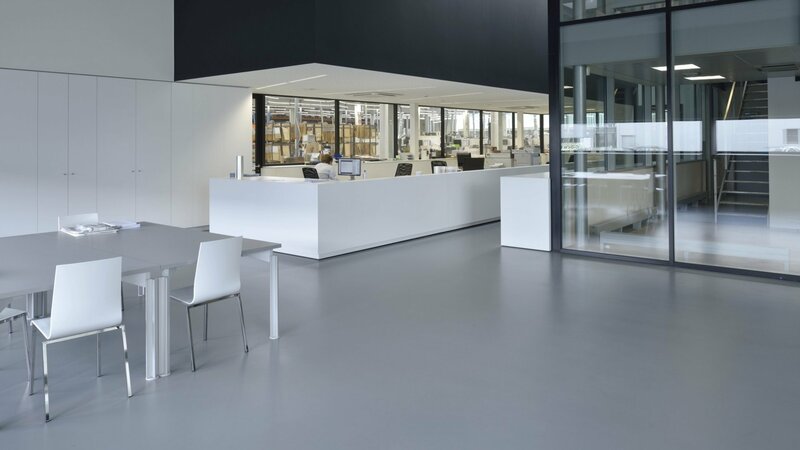 For example, about flooring that is impact resistant, and resistant to chemicals such as ink, pigment and other chemicals. 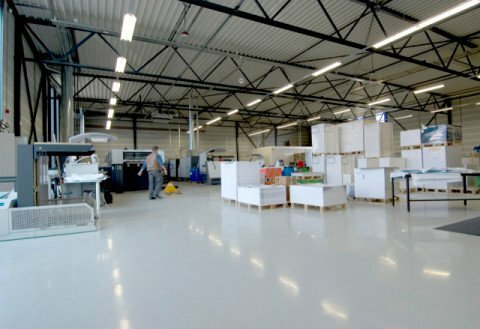 But also about cleaning; the presses are constantly rolling, so having low-maintenance and easy to clean flooring is essential. 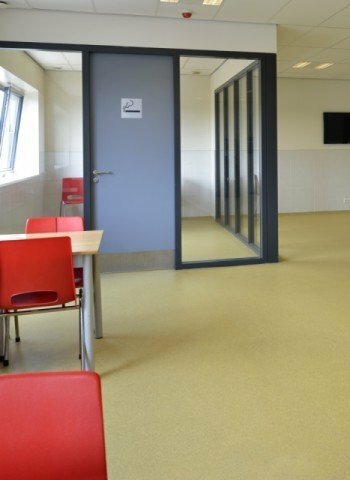 Spatial adjustments place specific demands on flooring; it must be easy to repair and expand. 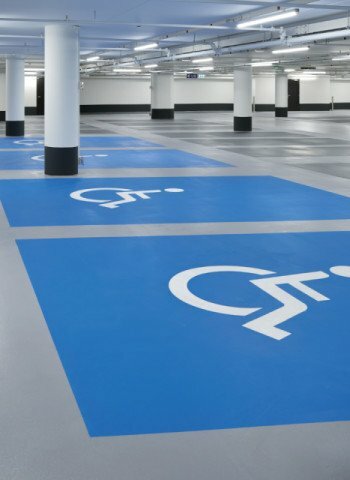 A maintenance contract offers the perfect solution. 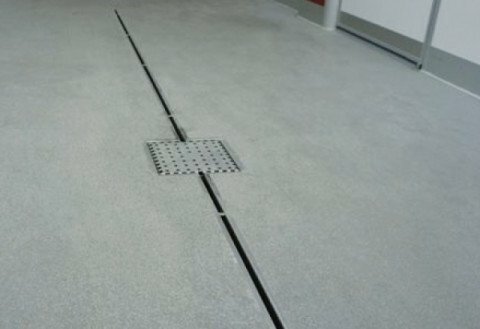 Each top layer can be altered without having to install a new floor. 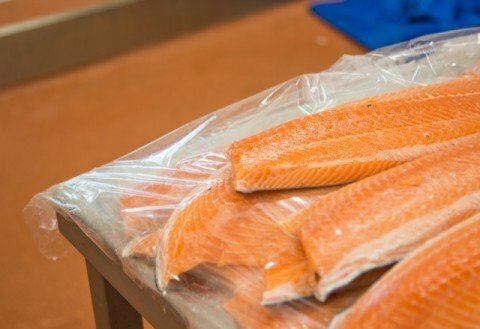 The fast drying time ensures that the production process is interrupted as briefly as possible. 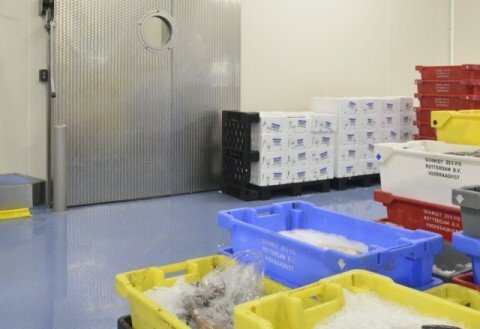 Perfect flexibility in combination with lower lifecycle costs! 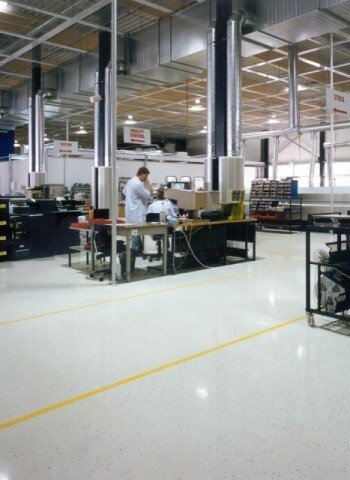 Bolidt's synthetic flooring has a very long service life. 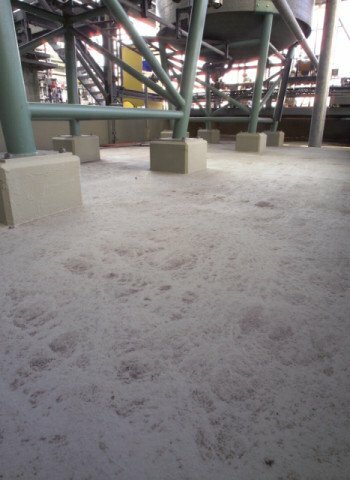 It also very low-maintenance and easy to clean. 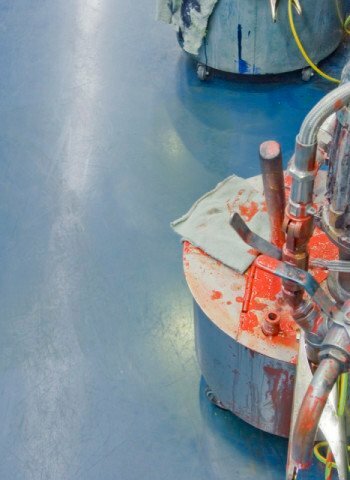 If you want certainty upfront and problem-free maintenance, go for a maintenance contract. Optimal duplication of prepress and DTP work without creating waste. 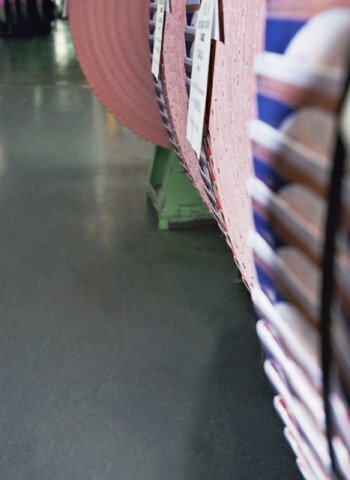 Having knotting take place and subjecting master rolls to a finishing process. 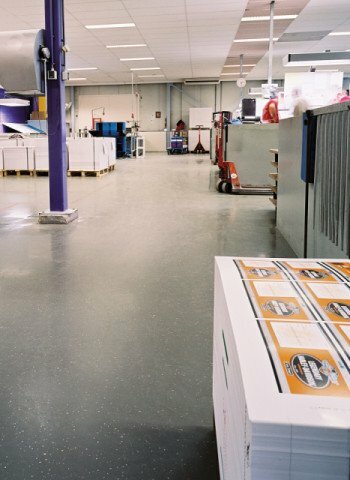 Bolidt recommends for printing office area the following systems. Select your system. 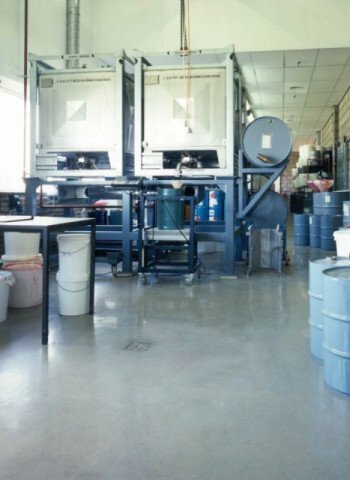 Bolidt recommends for production paper the following systems. Select your system. Select a project and read more about this graphics or paper industry project. 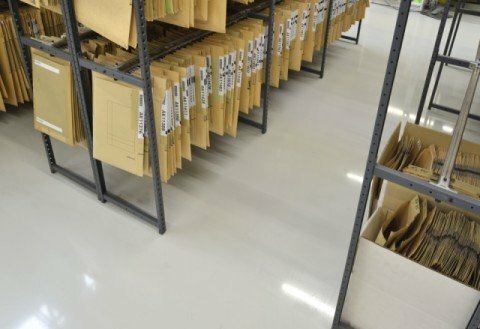 Bolidt has many years' experience in manufacturing perfect flooring for applications in the graphics and paper and industry. 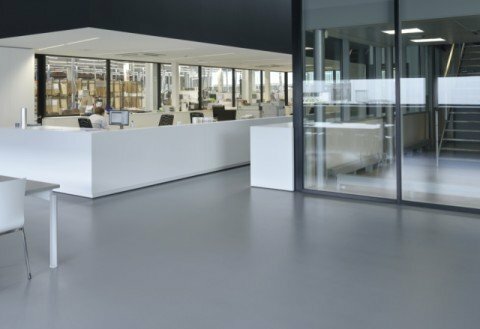 Flooring that is perfectly suitable for automatic guided vehicles because of its seamless, smooth surface. 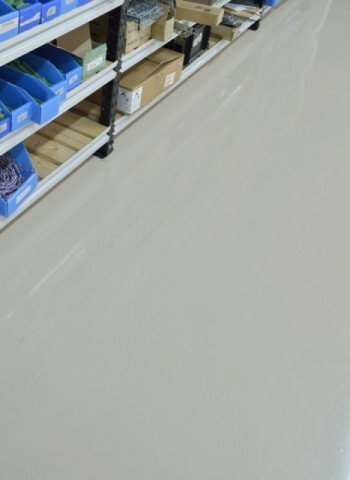 It is low-maintenance and easy to clean. 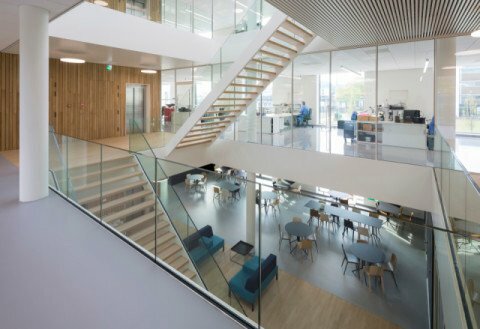 And because of its decorative design, it offers workers a modern and fresh look. 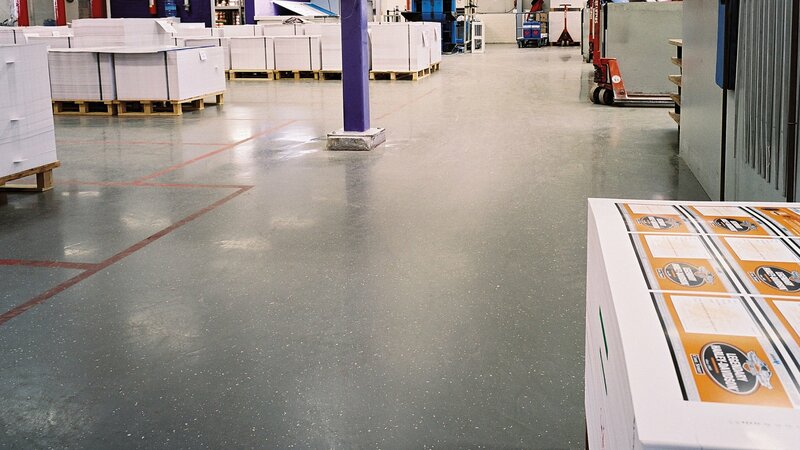 The perfect choice for the graphics and paper industry is Bolidtop® Stato 525. 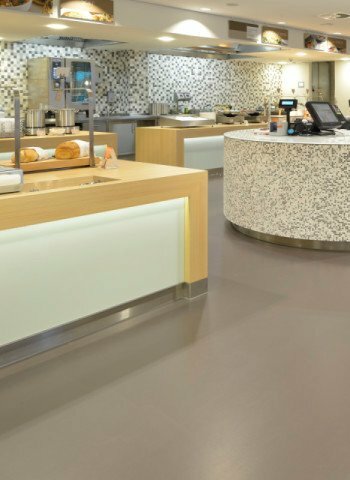 Bolidtop® Stato 525 is an electroconductive flooring system based on a low-viscous, two-component synthetic resin that is almost odourless. 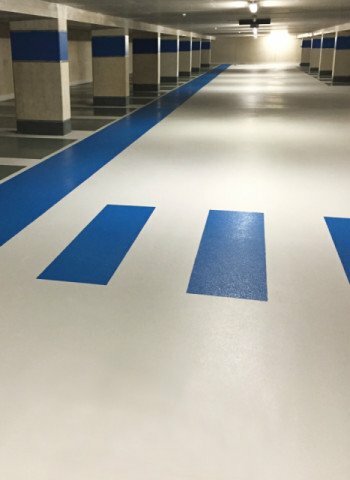 It was developed for application on electrically insulated surfaces. 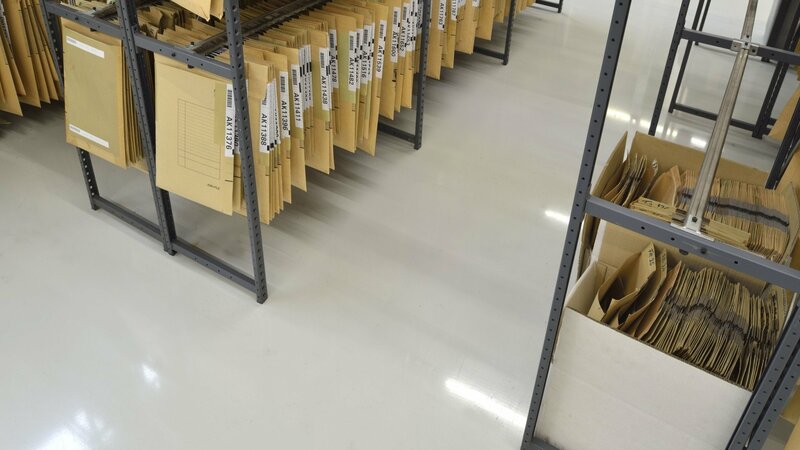 The flooring's electrical properties safeguard personal safety and comply with international standards. 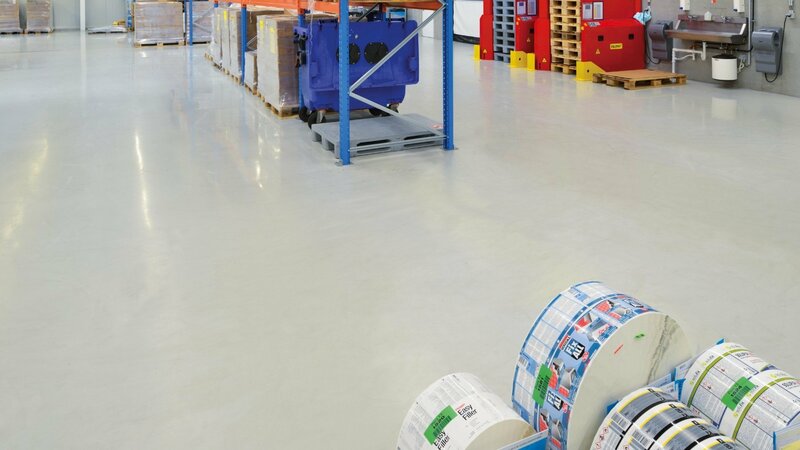 The floor is suited for light and medium-heavy mechanical loads. 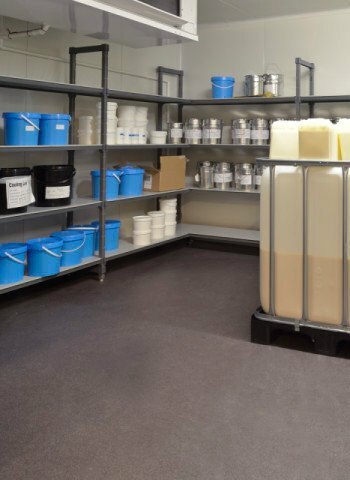 It is also resistant to organic solvents such as acetone, which is an exceptional quality. 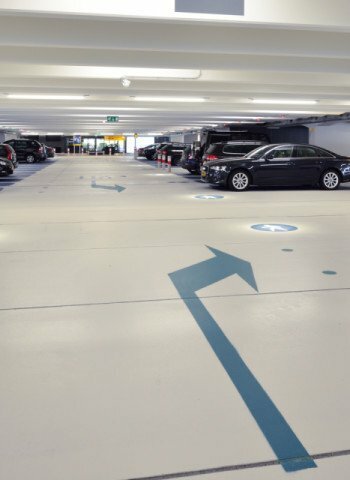 An optional chemical-resistant decorative melange ensures a calm and neat appearance. 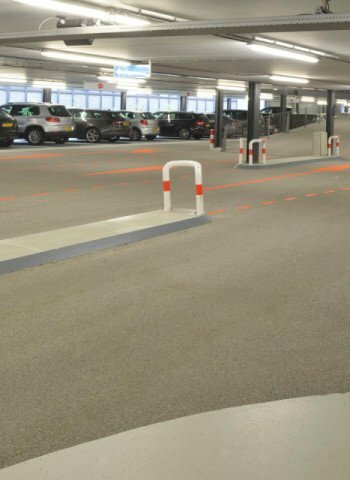 Bolidtop® Stato 525 is applied to an electrically insulated surface. 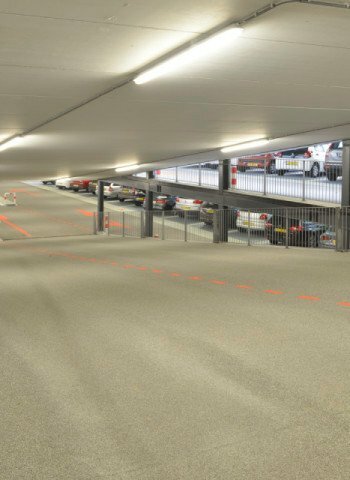 The system is seamless, durable, liquid-impermeable and low-maintenance. 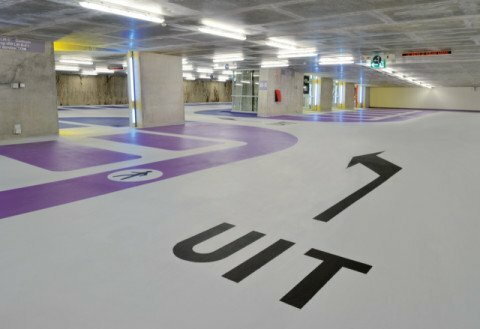 It is available in a wide range of appealing colour combinations. 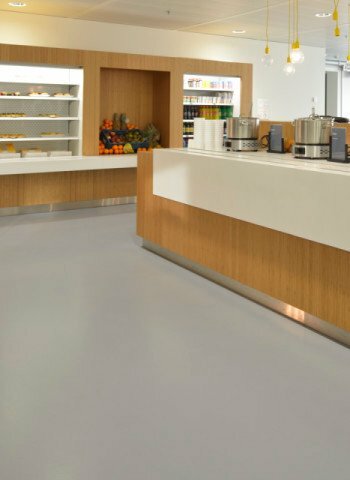 Bolidtop® Stato 525 is processed in liquid form by the company's own specialists or by certified partners.